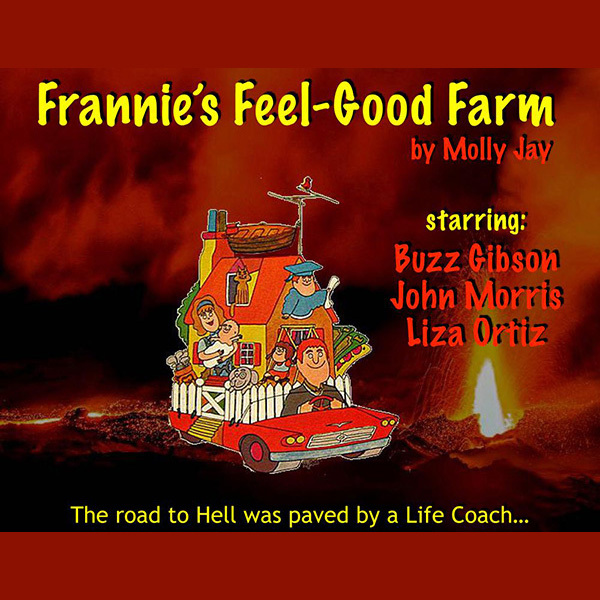 Molly Brown and Beautiful Day in Hell Productions perform “Franny’s Feel-Good Farm,” the story of a young, wayward soul who gets swept up in the easy answers of new-age life coach Franny. While Franny offers hope for the hopeless, she is much more interested in collecting tuition than actually helping her clients, and during the weekend-long retreat introduces the group to a motivational speaker with much more sinister motivations than expected. Molly Brown is a professional musician and educator residing in Charlotte, NC. Currently an adjunct professor at Queens University in Charlotte and CPCC, she teaches a variety of Music and Jazz History classes that explore her disciplines through various perspectives, such as race, gender, and immigration. She maintains her Low Brass studio at Queens University and leads the Jazz Ensemble. Aside from her educating duties, Molly is an active musician/recording artist and often plays out as a member of the Mike Strauss Band. And apart from that aside, she resides with her husband, her daughter, two good dogs, and three bad cats.